With A Levels in Music and Theatre Studies, and Dance and Choreography qualifications through the BTDA and IDTA,Katie has a well rounded Performing Arts background, which helps make Footloose the success that it is. Katie not only teaches all Classical, Tap and Acro work at Footloose, but also dance and singing to all Saturday stage class students. Katie is a qualified teacher thorugh the IDTA (International Dance Teachers Association) and qualified ZUMBA instructor and Katie continues to attend regular masterclasses / tuition to keep up to date with the latest styles and training. With a performance background herself, Katie is able to teach the students the importance of performance on stage and teach them in audition technique for shows, cruises and universities. 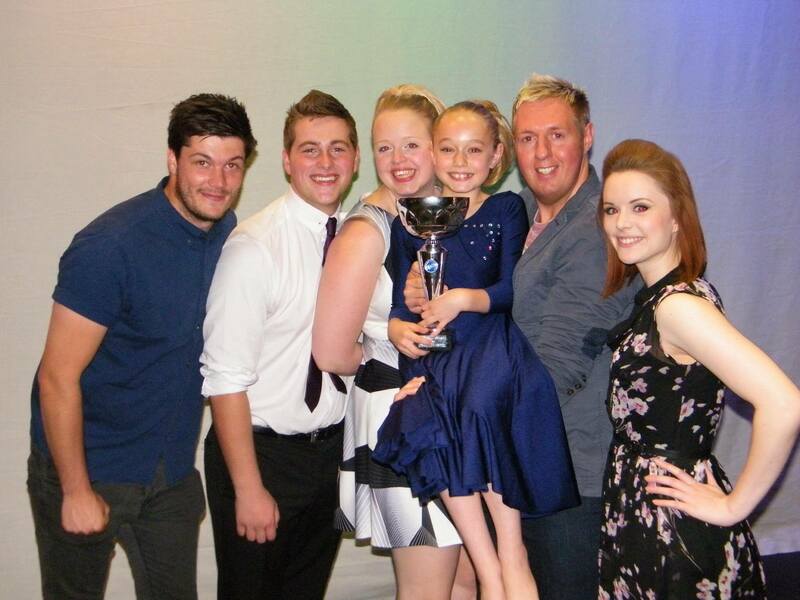 In addition to being Principal of Footloose Stage School, Katie also works at a number of primary and secondary schools across Leicestershire giving weekly Dance and Drama tuition in line with the National Curriculum, including GCSE and A Level Dance. I began my love for the arts at school, when I became a part of the school Youth Theatre and Dance group. From there I was part of a number of shows performing around Leicester and developed a love of all dance areas, most particularly in Street Dance. After school, I attended Brooksby Melton College to study Musical Theatre where I took part in a number of shows and performances before returning back to my Secondary school to work as a Teaching Assistant within Drama and English. I have now been working at the school for almost 5 years. Within that time I have developed my skills to become a teaching instructor in Drama for KS3 and support within BTEC Performing Arts classes for KS4 students. I have recently graduated with a 2:1 degree in Theatre Studies and teach KS4 / GCSE Drama at a secondary school in Leicester. In my spare time, I am also lead singer of 2 soul bands gigging all over the UK every weekend. Working at Footloose has given me a great opportunity to improve my skills within teaching and it is a pleasure to work with such talent and appreciation for the arts. Mr Christmas joined Footloose in September 2014 as our physical theatre and stage combat teacher. His extensive background in Performing Arts and correct techniques for stage falls and fight scenes allows Footloose to deliver the very best drama at Footloose! In addition to his training, Mr Christmas has a number of TV credits to his name including Casualty and has IMDB credits. Mr Christmas is able to educate the children first hand on the industry and with continual work himself, is able to assist our students pursue their dreams within the Arts! As well as teaching drama to all of the other classes, it is a pleasure to have a male role model at Footloose for our growing number of boys at the school. Charlie trained at The Arts Educational School from the age of 10 to 16 she then went on to further her training at Laine Theatre Arts till the age of 18. Her theatre credits include featured dancer in One Giant Leap and Believe in yourself (Epsom Playhouse Theatre). Additionally she spent 7 years with the National Youth Ballet appearing in solo roles in many performances in regional and west end theatres including work with Matthew Bourne & Drew McOnie. She then went on to play the role of Wendy in Peter Pan Pantomime alongside Joe Pasquale at the Orchard Theatre. In 2010 Charlie won the hit TV show So You Think You Can Dance on BBC One. She then proceeded to dance in Los Angeles for the final of season 7’s So You Think You Can Dance where viewing on the night topped 15 million viewers. Later on that year she performed on Mexico’s hit TV show Bailando Por Un Sueno representing Britain. She then proceeded to take on the role of Baby in West Ends hit show Dirty Dancing at the Aldwych Theatre and also played Gina as her ensemble role. She also judges various talent competitions around the Uk. In 2011 she appeared on 4Music’s Ident advert and also went to Barcelona to dance for HTC Mobile network Company for Dancers Inc. She was then invited to take part in Revolution at The Theatre Royal in the West End as a featured dancer alongside Kimberly Wyatt and Adam Garcia. In 2012, Charlie performed in Kim Gavin’s Closing Ceremony of the Olympics and shortly after she played the lead role in FlashMob at the Peacock Theatre. Charlie has also had great success in TV including X Factor Live Show 2014 and 2015, Jingle Bell Ball, X Factor Tour 2014/15, Royal Variety dancing for Alfie Boe and has also appeared as a backing dancer for Britains Got Talent for the past two seasons. Most recently, Charlie has been a featured dancer on the ‘Strictly Come Dancing Tour 2017,’ performed in “RipItUp” UK Tour and has just finished filming for Mamma Mia 2! We are honoured to have the brilliant Charlie at Footloose to work with our students. Raska trained at Footloose Stage School herself as a student! Raska pursued the arts at Roehampton University where she was awarded a 2:1 in Dance Studies. Raska performed in the closing ceremony of the 2012 London Olympic Games and having completed her studies, has returned to Footloose to pass on her expertise as a teacher. Miss Katie is thrilled to now be working alongside her first ever student. Liz Pigott studied at Arts Educational in London for 3 years, before performing as a professional ballerina for 10 years. Liz is an adjudicator for various dance festivals thorughout the UK and one of IDTA’s top examiners. We are thrilled to have Liz with all her wealth of experience on board at team Footloose to teach the students ballet technique on a weekly basis. Martin was born and raised in Leicester and trained at Dupont’s Dance and Stage School. At the age of eighteen Martins first professional job took him to the east coast in Great Yarmouth, where he was a singer and dancer at Summerfield’s Holiday Park. This was a very memorable contract, not just because it was his first job, but for the fact he had the pleasure of working along side his best friend Katie! From then on his career as a professional dancer took him all round the world working on cruise ships, Entertainment resorts and various Pantomimes. Martin was also privileged to work as a backing dancer for various pop acts such as Hazel Dean, Angie Brown, 911 and Chico. Now working as a choreographer, Martin is the Creative Director at ELITE Production and Event Choreography, creating shows for various companies including Butlins Entertainment Resorts, Haven Holidays and Warner Leisure Hotels. 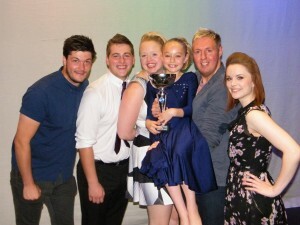 When Martin is back in Leicester you will find him teaching at Footloose Stage School and there is nothing more he enjoys than passing on his experience and expertise to the array of talent that Footloose Stage School has to offer. If you would like more information about ELITE Production and Event Choreography please visit our website; www.eliteproduction.co.uk.